Let’s be real here, the School Bread from Kringla Bakeri og Kafe is overrated. Yeah, I know all the other food blogs overhype this treat, but come on, is it really that good? Is it really that incredible? Actually I truly dislike it. Scratch that, I hate it. But once you take a bite, it’s pretty darn dry. The cream on top and inside is pretty good, but it’s not life changing. You won’t cry tears of pure satisfaction for every bite you take. It’s just not THAT great. 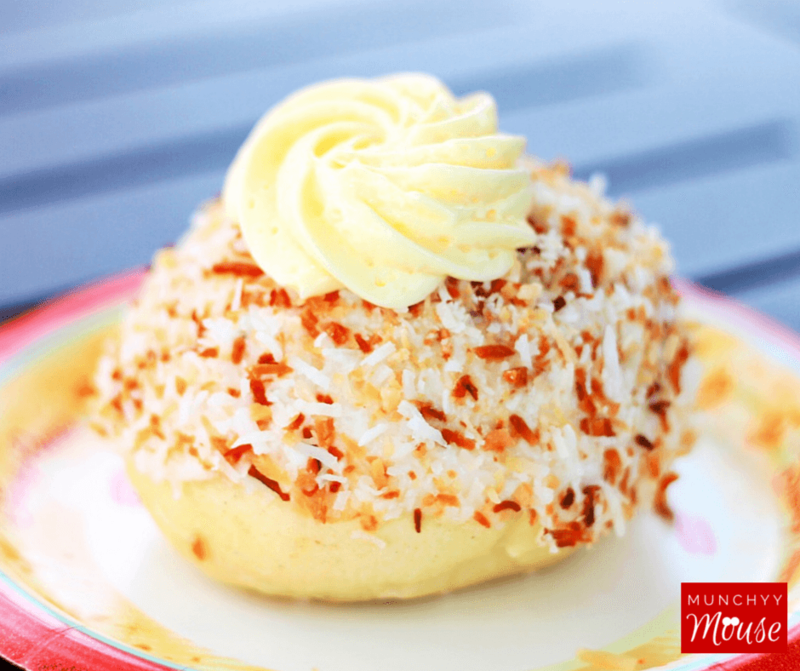 That’s why I suggest you try some other Epcot desserts. 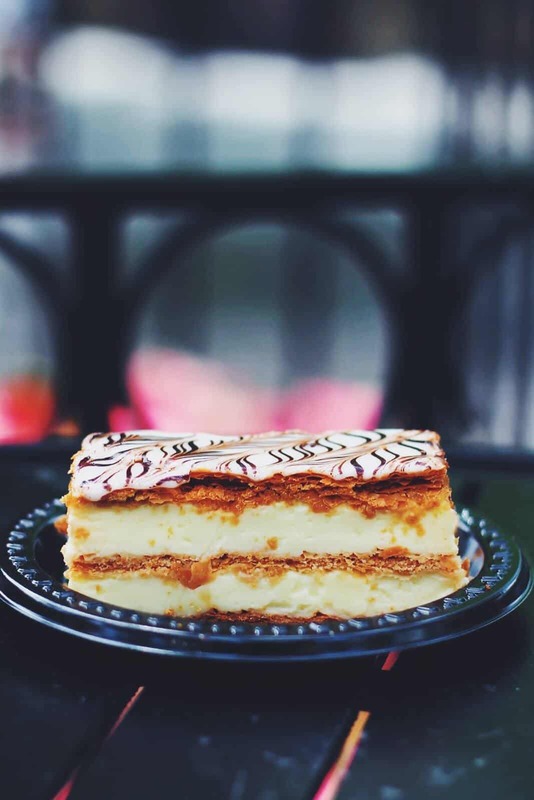 Desserts that I believe are really tasty and unique. Desserts so good that you will be just sitting in you home just craving to have grace your tastebuds once again. 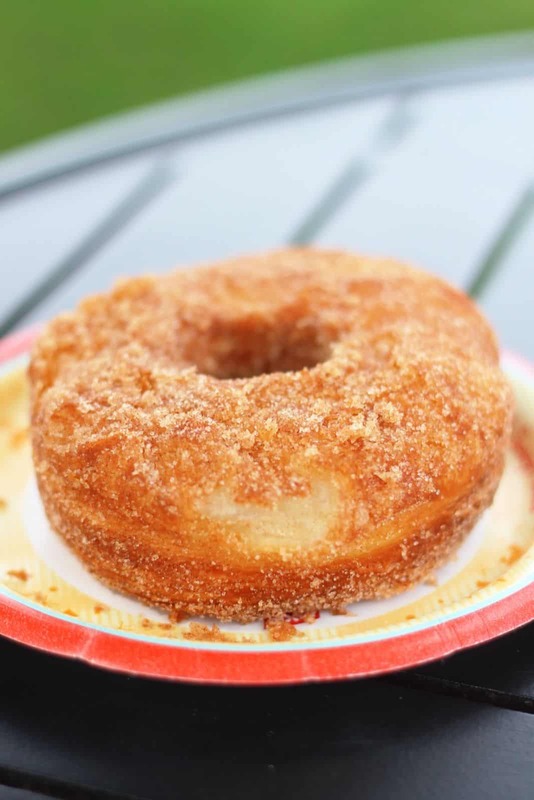 So with that being said, here are 10 of my favorite Epcot desserts that I think are 5x better than the school bread. Flaky layers filled with thick cream topped with sweet icing. Get it from Les Halles Boulangerie (France). Hands down the best sweet cream and tarte combination you’ll ever eat in your life. 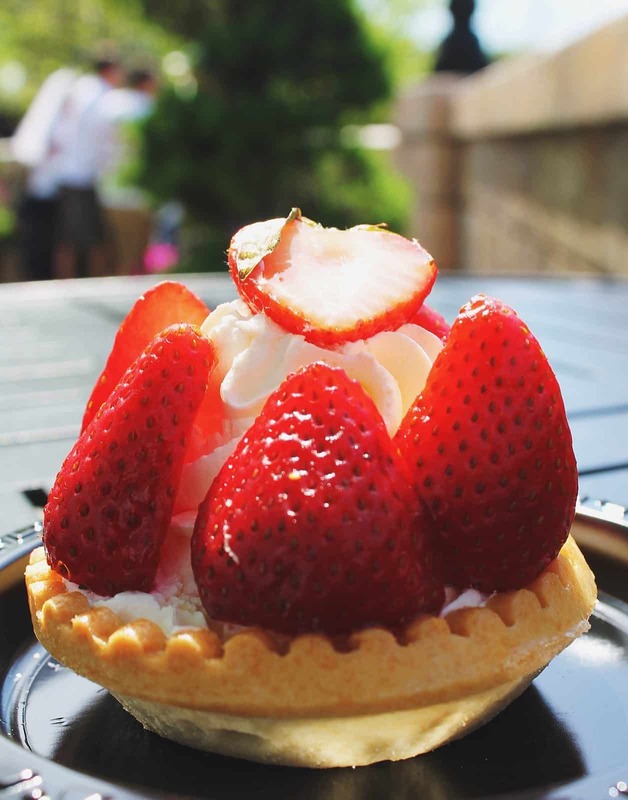 And oh yeah, the fresh sweetened strawberries are a nice touch! 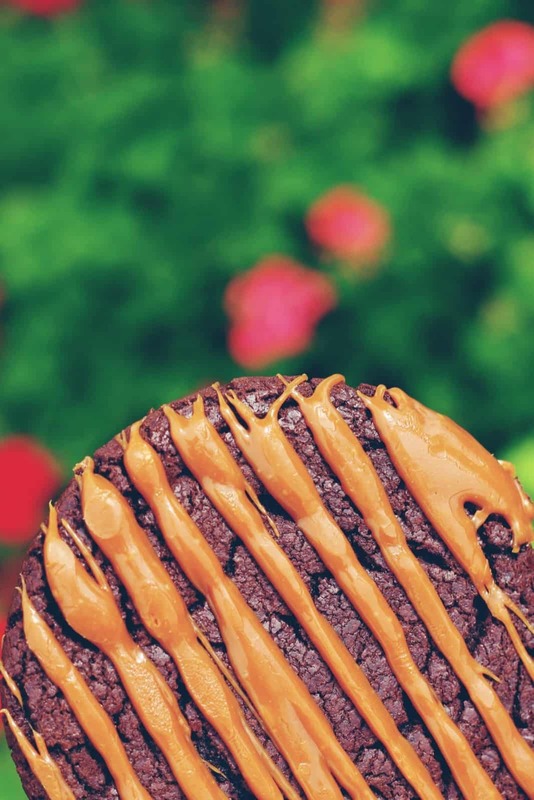 This cookie literally tastes like a double fudge brownie. Soft, chewy, and sweet with tasty Werther’s caramel. Get it from Karamell Kuche (Germany). For the best Epcot dessert it’s a tie between this and #2. 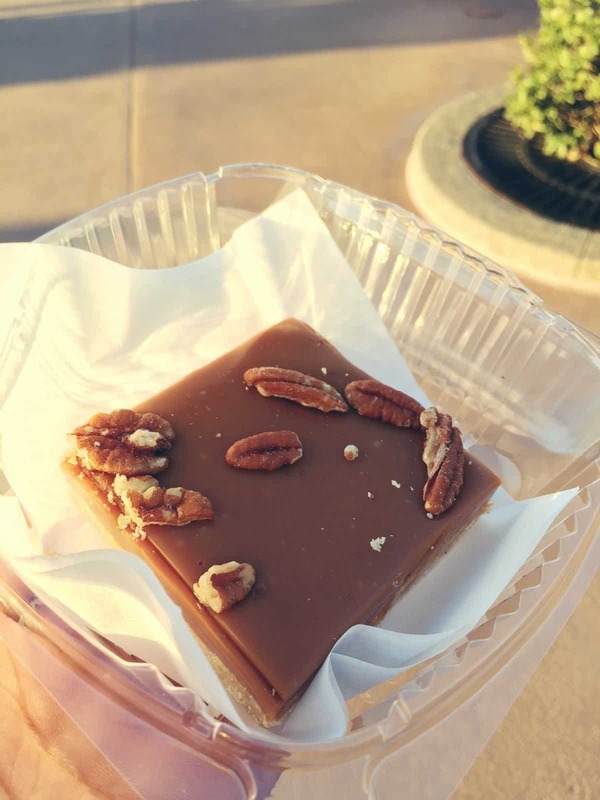 All I can say is that that thick layer of caramel on top and that shortbread-like soft cookie on the bottom make this one of the best things to eat in all of Disney. If you hate it, I give you permission to meet me at Epcot and punch me in the face. Get it at Karamell Kuche (Germany). Warm soft, and super sugary. It literally tastes like a croissant with the sweetness and shape of a donut. It’s pretty good. 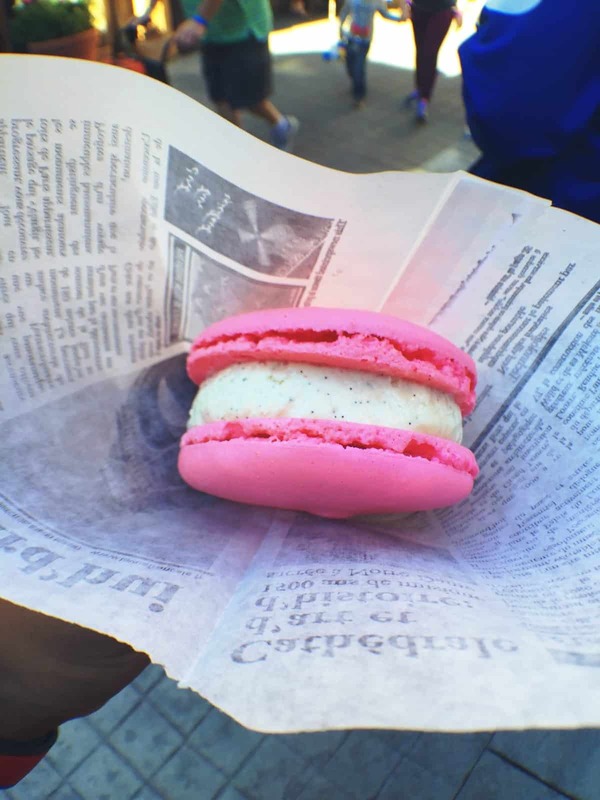 Just imagine 2 chewy Strawberry macaroons filled with strawberries and creme ice cream. Mmmm. Get this from L’Artisan de Glaces (France). Warm, soft, and chewy bite sized churros with a caramel dipping sauce. Delicious! 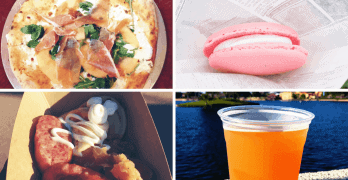 Want More Tasty Disney Food Pics? For more delicious Disney food pics, be sure to follow me on Instagram. Completely agree with you. Had the SchoolBread yesterday in the middle of the July heat and rain, and was disappointed big time. Tried it due to all the talk about it, when in fact, it’s just a whole wheat bun stuffed with custard and topped with coconut. The bun was dry, too. Had the croissant donut on our way out, and it was one of the best things I had all day, and worth the almost $6US for it! I completely agree. I had to try the school bread after hearing so many rave reviews, then I got it, and we couldn’t even finish it in a family of 4. The last time I had the croissant donut a couple years ago it wasn’t good it all, it was dry and disappointing, maybe they have gotten better, or I just got a bad one. 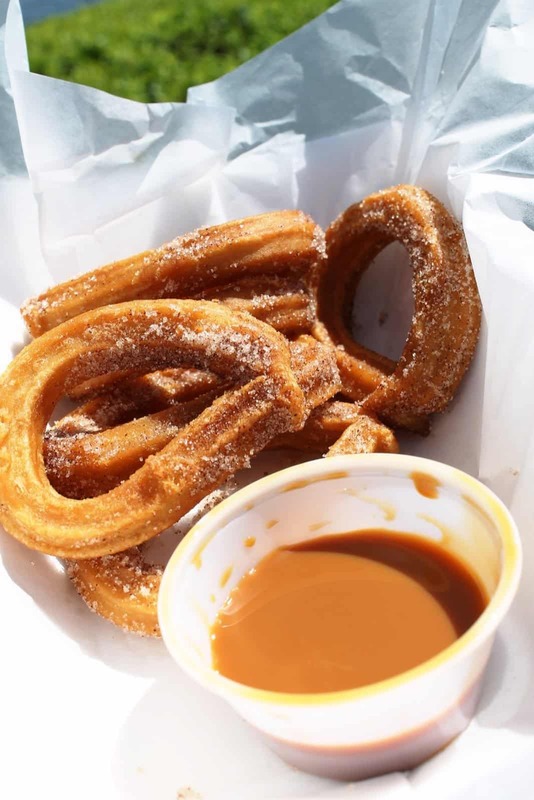 Also, the last time we got the churros from La Cantina, it was hard and dry, so maybe that was an off day too. They changed the school bread years ago— it used to be delicious, more moist and less sweet. The texture of the bun was more soft and not wheat-like and dry at all. It used to be incredibly delicious— my guess is that’s why it had been raved about so much. They changed the school bread years ago— it used to be delicious, more moist and less sweet. The texture of the bun was more soft and not wheat-like and dry at all. It used to be incredibly delicious— my guess is that’s why it had been raved about so much. The cream inside and out was a lot different as well, it’s been almost a decade since I tried it, and wish I could have the old version again!